Get the FREE BOB & TOM Show App! With the NEW BOB & TOM Show radio app you can connect with the BOB & TOM Show crew like never before. Listen to The BOB & TOM Show live on your favorite station. 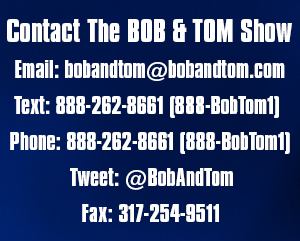 Listen to the Best of The BOB & TOM Show on B&T 24/7 the rest of the day. B&T 24/7 is a comedy channel featuring the best bits and segments from our vast archive of the world’s top comedians and entertainers. 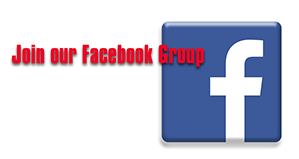 Interact with The BOB & TOM Show via social media. Listen to the Free B&T podcast with recent highlights of the show. Talk to the studio via the Talkback feature. Contact the studio via email. Take a tour of the features of the new BOB & TOM Show mobile app. Q: Is this different than B&T VIP? A: Yes. VIP will still remain the only way to download a commercial free podcast of the full show, access full show audio and video archives, watch a four-camera live video stream of the show, and access all of the BOB & TOM Show albums. 24/7 was a part of the VIP service, but has now been moved to the app for free. In fact, we are upgrading portions of the VIP service to improve it, and have big plans for it in the future. So join now!